We are regularly contacted by people who have been involved in motor vehicle crashes with semi trucks in the Kansas City area. The commercial trucking industry is one we are very familiar with and we have handled these types of cases many times over the years. This is an area of the law in which our lawyers have extensive knowledge and experience. Every year nearly 4,000 people are killed and over 100,000 people are injured in crashes involving semi trucks. When semis collide with cars, individuals in cars who survive a crash are often left with life threatening injuries, the costs of long term medical care and the loss of his or her livelihood. Semis are dangerous and we are all exposed to that danger every day we drive our cars. An outdated federal law passed in the 1980s only requires the commercial motor vehicle industry to carry minimum insurance policies of $750,000 to cover the entire crash – no matter how many people are killed or injured. Earlier this year the federal agency responsible for overseeing highway safety released a report to Congress that concluded the costs of injuries and fatalities arising from crashes far exceed the minimum insurance levels interstate trucking companies are required to carry. If someone is hit by a semi and is seriously injured and has medical bills of more than $1 million, the trucking company whose driver caused that crash may not have enough insurance coverage to adequately cover those costs. Since the old $750,000 limit is too low, the only question is how much insurance should trucking companies now be required to carry? Doing some basic math is instructive. If the $750,000 limit imposed in the 1980s had been adjusted for inflation, it would now be at $1.7 million. If the $750,000 limit was adjusted for the medical price index, it would be $3.2 million. Others argue that the requirement should be raised to $4 million. In spite of these figures, some operators in the trucking industry are opposed to any effort to raise insurance coverage trucking companies are required to carry. And unfortunately, some politicians have voted against the effort to raise that coverage. A bill that would allow the federal agency to evaluate this issue has faced bipartisan opposition; it was passed by only one vote in the United States House of Representatives. 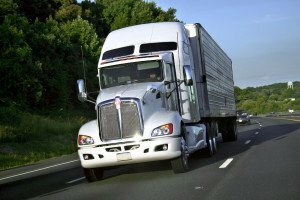 And the bill now has to clear the United States Senate, where it will unfortunately be met with more efforts by the trucking industry to kill it. Keeping the financial responsibility requirements for the trucking industry the same in 2014 as they were in 1985 is not responsible. Let’s hope the politicians in both parties do the right thing and bring the financial responsibility of the trucking industry into the 21st century.